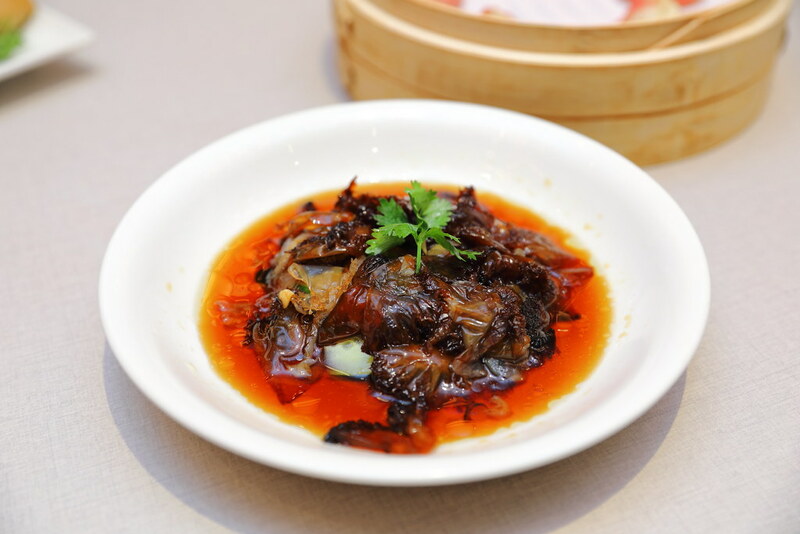 After closing the outlet at Ion Orchard, Paradise Dynasty has re-located and moved next door, re-opened at Wisma Atria on 10 January 2019. The latest outlet can sit up to 196 pax with a new and brighter season. 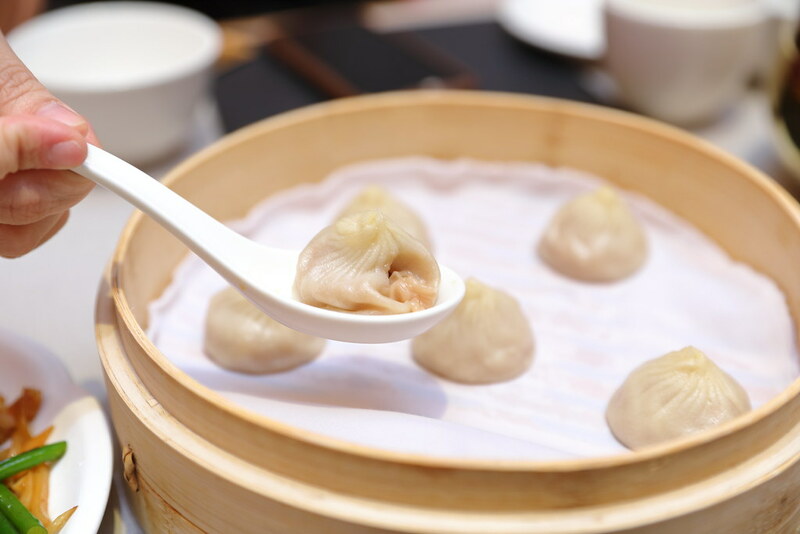 Besides the la mian and xiao long bao offerings that have made Paradise Dynasty a household name, the newest outlet offers cuisines from Anhui, Cantonese, Fujian, Hunan, Jiangsu, Shandong, Sichuan and Zhejiang under one roof. 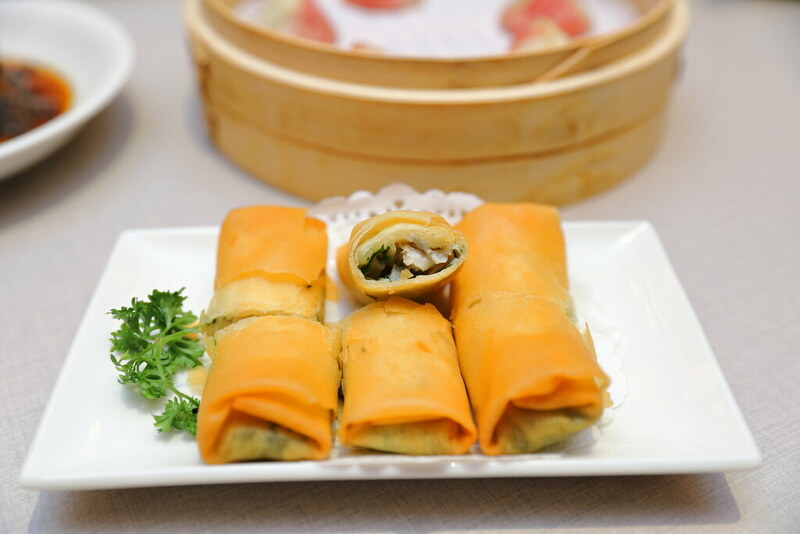 A new dish on the menu is the Crispy Yellow Croaker Spring Roll ($9.20/3pcs). Wrapped in the crispy pastry skin is the soft and tender flesh of the yellow croaker. A delightful starter packed with different play of flavours and textures. 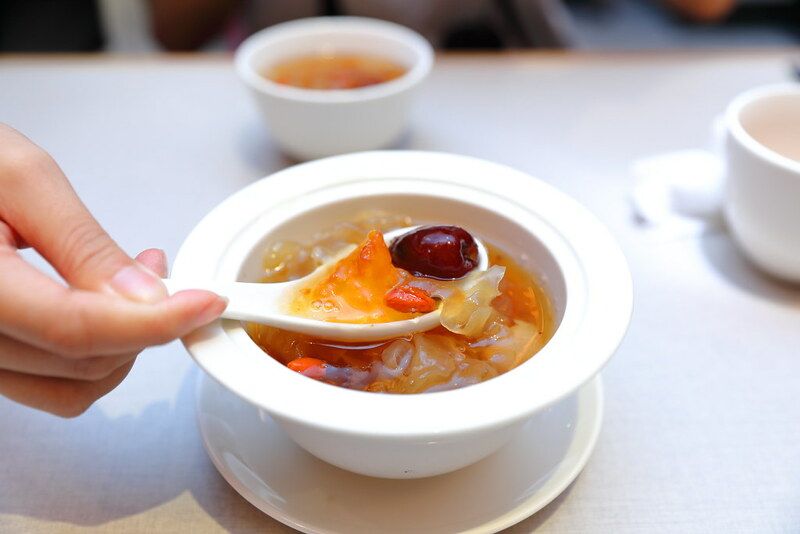 Using the head section of the jellyfish for that extra crunch, the Chilled Jellyfish in Soy Sauce Vinaigrette ($12.80) whets up the appetite with its tangy seasoning. The Lettuce Roll with Homemade Sesame Sauce ($8.80) may look unassuming but it turned out really delish. 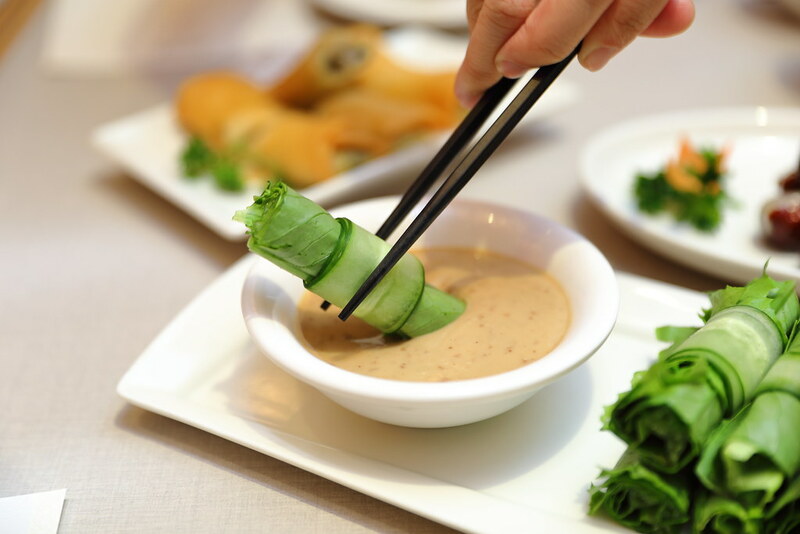 The fresh and crunchy lettuce roll is complemented by the excellent homemade sesame sauce that simply brought the ingredient to live. 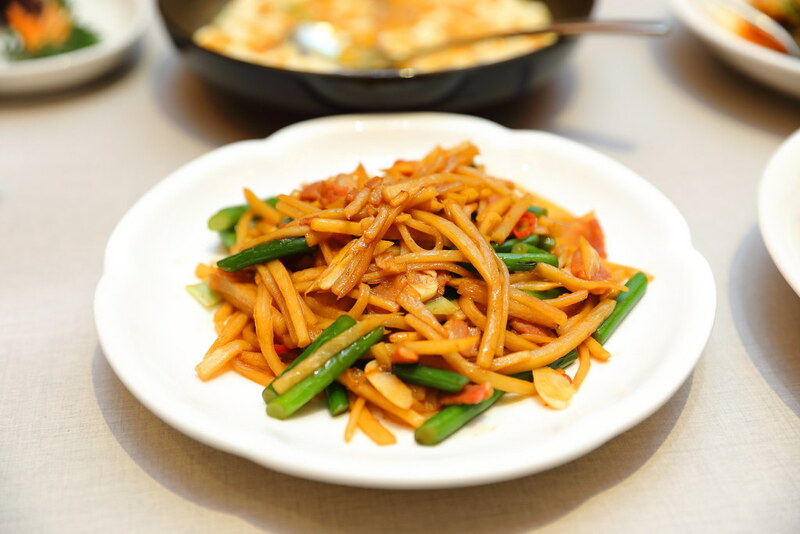 Some bamboo shoot may come across having an acquire taste but I did not taste it from the Stir-fried Fresh Organic Bamboo Shoot with Bacon ($14.80). I also like the idea of the bacon giving the dish a coat of aroma on top of its crunchiness. 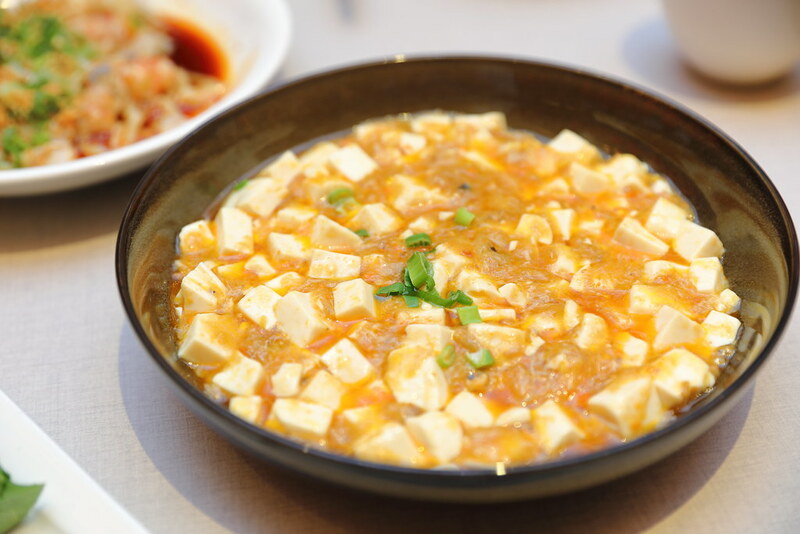 Smooth and silky is the Braised Tofu with Crab Roe ($22.80). Unfortunately I could not really taste the robustness of the crab roe in the execution. 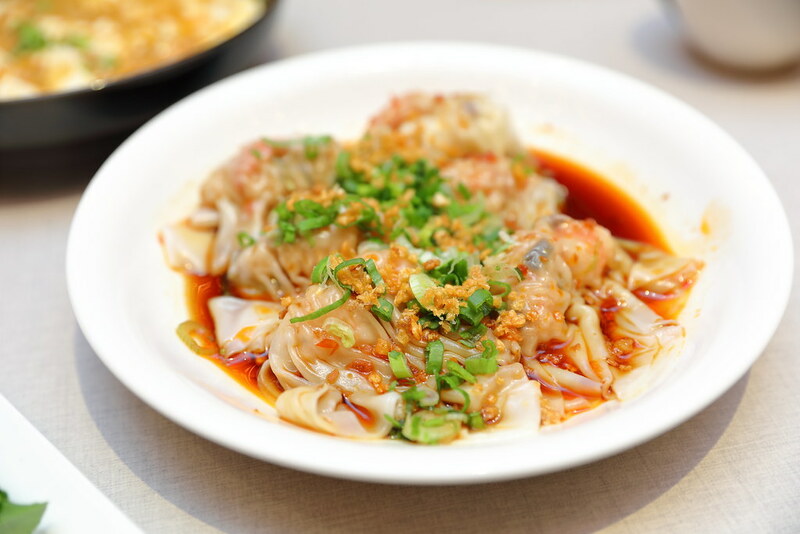 My all time favourite at Paradise's restaurants is their Prawn and Pork Dumpling in Hot Chilli Vinaigrette ($9.80/6pcs). 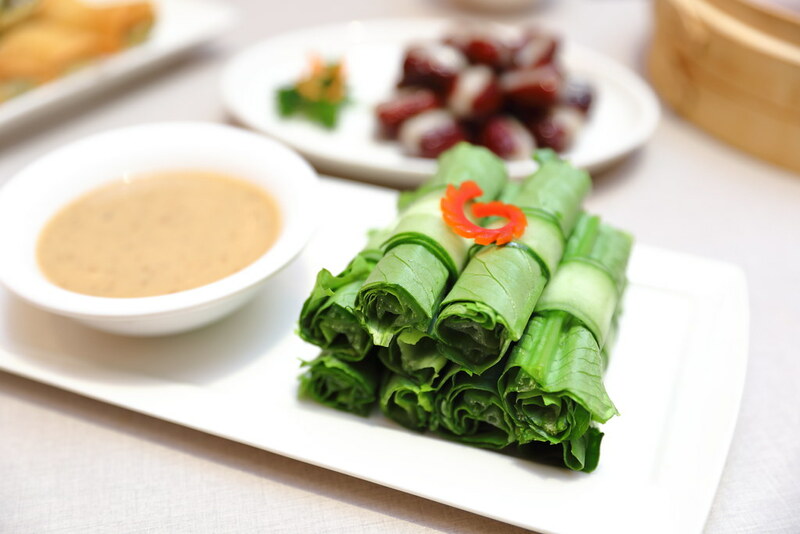 These parcels wrapped in a silky thin wanton skin are plump and juicy. The highlight is the aromatic hot chilli vinaigrette that elevated the whole enjoyment. 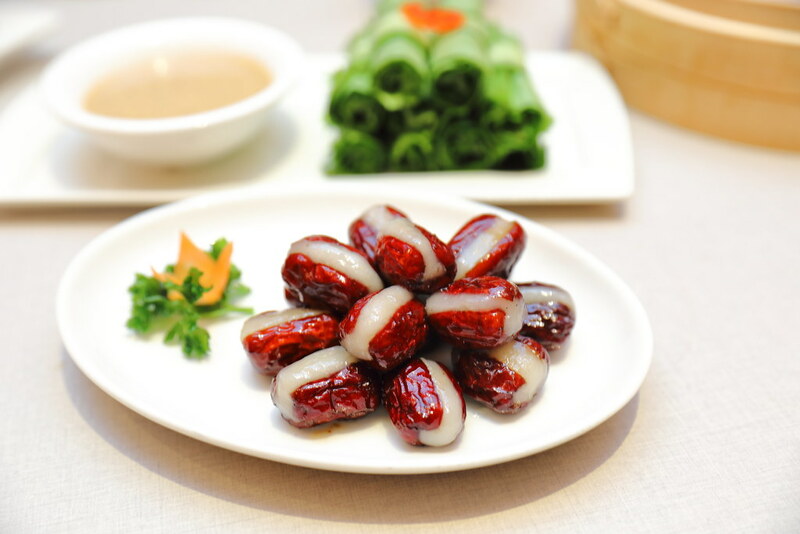 Its not all about savoury at Paradise Dynasty, there are sweet takes such as the Steamed Glutinous Rice stuffed in Red Date ($7.80) and Yam Paste Xiao Long Bao ($8.80/6pcs). It is not that the Steamed Glutinous Rice stuffed in Red Date is not good but it is something new to me and it probably needs time for me to accept the unique taste. 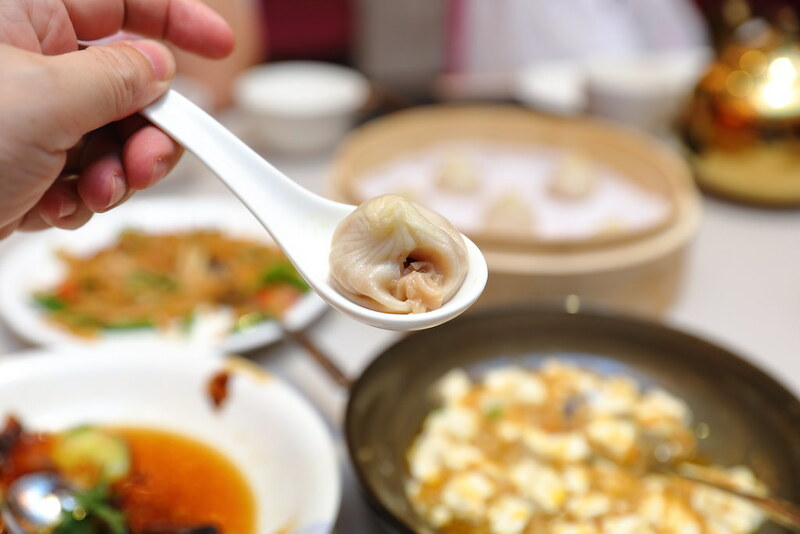 As for the Yam Paste Xiao Long Bao, the take of stuffing it with the sweet yam paste its an unique take of the traditional Xiao Long Bao giving it a sweet finishing. I have always enjoyed a good bowl of La Mian from Paradise Group's of restaurants. Undeniable the noodle is top notch. 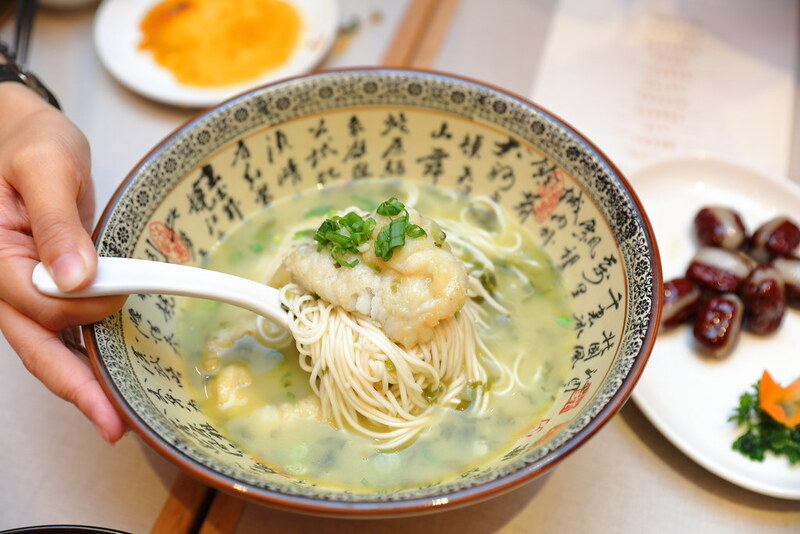 However the soup base of the La Mian with Yellow Croaker Fish and Preserved Vegetable ($16.80) was slightly fishy which was a let down. It is definitely note their usual standard. Wrapping up the dinner, I have the refreshing Chilled Snow Fungus with Peach Resin ($8.80). Mentioned in my earlier posts, I have a liking for peach resin recently. Hence this just hits the spot. Note: This s an invited tasting.